From the ultra-chic modern interiors, to the fashionable staff, the background lounge music and the advanced digital technology, Campus Dentist has ventured into a new wave of Dentistry. We are confident that upon entering one of our truly unique offices your experience will be captivating. The Campus Dentist team is professionally trained to ensure every patient is treated with the highest level of service and care. We offer Cleaning, Checkups, Fillings, Wisdom Teeth Extractions, Invisalign, and Tooth Whitening. New Patients & Emergencies Welcome. All insurance plans accepted, including your student plan! With direct billing to your insurance, it doesn’t get much easier! Visit Campus Dentist’s Website for more information! Located in the heart of the city, here at Queens University, Simply Esthet-X offers a variety of esthetic services to meet the needs of every individual, including Manicures, Pedicures, Facials, Waxing, and Eyelash Extensions. Starting in September, Relaxation Massages will also be offered! Newly renovated and centrally located in the JDUC, a floor level below Luce Hair Studio, our objective is to create a place you can sit back and let us simply take you away. We offer a %10 discount to Queen”s staff and %15 discount to students, all year round. 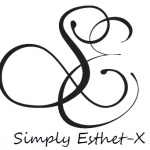 Visit Simply Esthet-X’s Website for more information! Grocery Checkout is the only grocery store on campus and has been in place since 2012 at Queen’s. 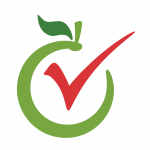 We pride ourselves in offering quality products at competitive prices that focus on the dietary needs of our student market. Our store offers a wide variety of fresh, ready to go meals and snacks in addition to having all the basics that you would look for at any grocery store. Highlights of the store include our Wall of Bulk that has many delicious snacks for your long days on campus, a good variety of gluten free products and our deli which offers fresh deli meats and salads.